Right-wing gunmen like Norway’s Anders Behring Breivik are a rarity in postwar Europe, Ian Buruma explains in his article in this week’s issue of The Nation. But the nationalist and sometimes outright fascist ideas that fueled Breivik’s radicalization are quickly becoming part of the mainstream conversation in countries throughout Europe. The continent’s far-right parties vary in their individual ideologies, but most express a growing anxiety with immigration, multiculturalism and what they see as the “Islamization” of Europe. 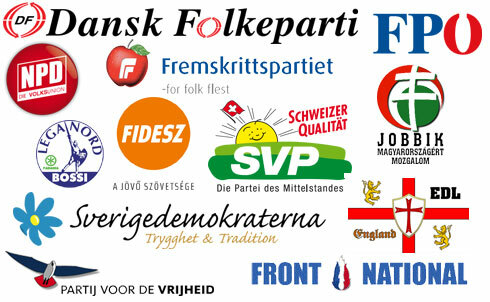 Here are twelve of the many right-wing parties fighting for ground in Europe’s charged ideological battles. Norway’s anti-immigrant Progress Party, of which Breivik was a member until 2006, won 23 percent of the vote in the country’s 2009 parliamentary election. The party is now the country’s second-largest. 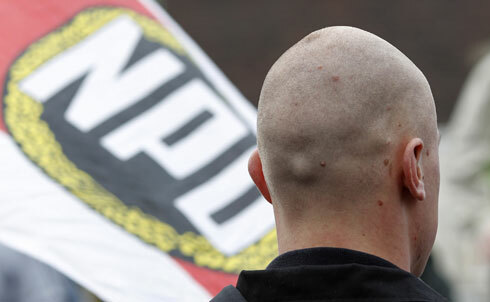 The National Front’s antiliberal, anti-Semitic platform was for decades locked out of national politics by the mainstream parties’ cordon sanitaire. But under the new leadership of Marine Le Pen, the party has disavowed some of it’s more openly fascist positions in favor of a more specifically anti-Muslim and anti-immigrant platform, and is steadily gaining favor in the country: in local elections this March, the National Front won 15 percent of the vote, only one percent less than President Nicolas Sarkozy’s party. 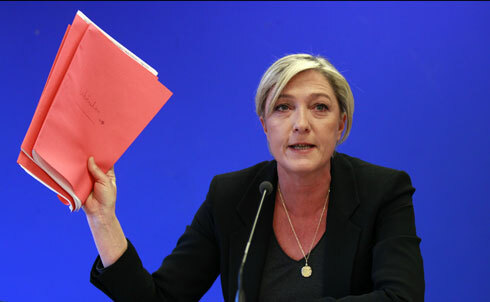 Marine Le Pen at a news conference in December 2010 during which defended her remarks comparing overflowing Mosques in France to the Nazi occupation. The nationalist Fidesz party won more than two-thirds of the seats in parliament in Hungary’s national elections last year, giving them the supermajority that’s needed to change the country’s constitution. But even more startling were the electoral gains of the neo-fascist Jobbik party, whose anti-Roma and otherwise racist rhetoric secured it 17 percent of the vote in the same elections, making it the third-largest party in the country. This alliance has already cracked down on dissent, censoring media and cutting funding for culturally important theaters. 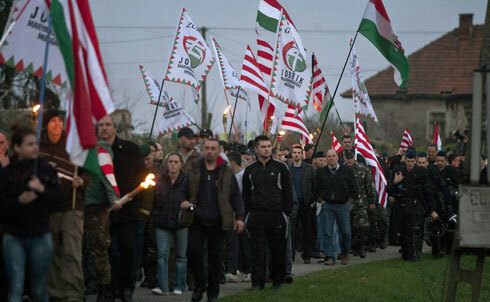 Jobbik supporters take part in an anti-Roma march in Hejoszalonta, Hungary. Geert Wilders’s Freedom Party almost tripled its representation in Netherland’s House of Representatives last year, winning 15.5 percent of the total vote. Wilders has become an icon of the anti-Islamization movement with his controversial policy proposals: he advocates banning the Quran, limiting the construction of mosques and taxing wearers of headscarves. 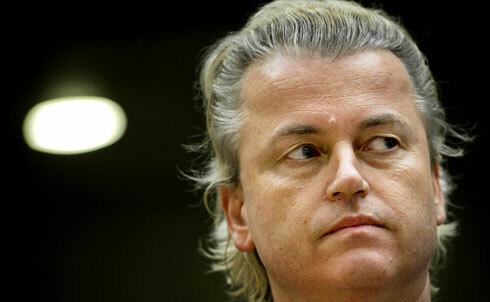 Geert Wilders in court in March after he was charged with inciting hatred against Muslims by comparing Islam to Nazism. He was acquitted in June. 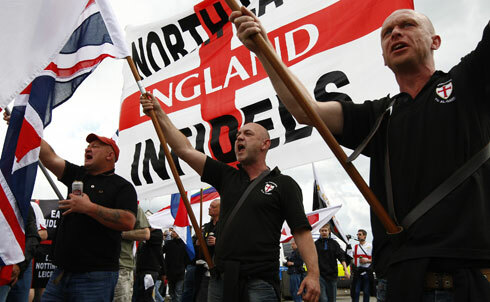 An English Defence League rally in Aylesbury, central England. Governments of the European Union were outraged in 2000, Buruma writes, when the Austrian Freedom Party garnered enough votes to form part of a coalition government. Party head Heinz-Christian Strache was active in Austria’s neo-Nazi underground for years, and even took part in militia training. None of which has tarnished the party’s image among voters: Freedom Party now garners as much support in Austrian polls as the two mainstream parties. 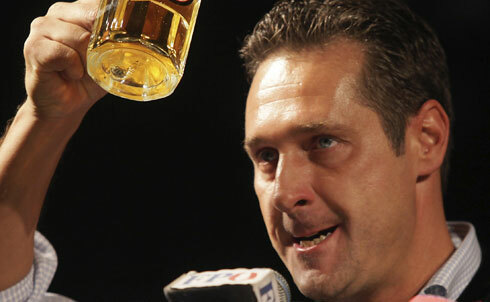 Freedom Party leader Heinz-Christian Strache at a Freedom Party rally in March. 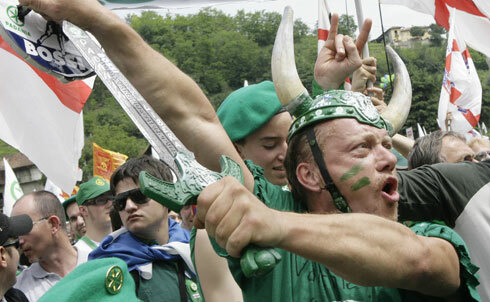 Northern League supporters at a rally in Pontida, Italy. Germany’s domestic intelligence agency considers the National Democratic Party a "racist, anti-Semitic, revisionist" hate group and its members certainly look the part. But because they are classified as a legitimate political party, they have been able to win seats in regional parliaments and even use state funds to print their provocative party materials. A National Democratic Party rally in Duisburg, Germany. In last year’s national elections, Swedish voters gave the far-right Sweden Democrats representation in parliament for the first time. The nationalist party grew out of earlier, more openly neo-Nazi groups, but in recent years has focused on restricting immigration and tarring Muslims as a threat to Sweden’s society and welfare state. Sweden Democrats head Jimmie Akesson, left, in a traditional costume. When the Danish People’s Party demanded customs control on the country’s borders this year to keep out “criminals from Eastern Europe and illegal economic migrants,” it ended the free movement of goods and people that European Union member states have enjoyed for over fifteen years. 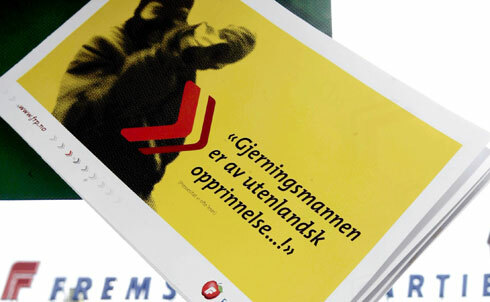 The People’s Party has also worked to make Denmark’s immigration laws some of the strictest in Europe. 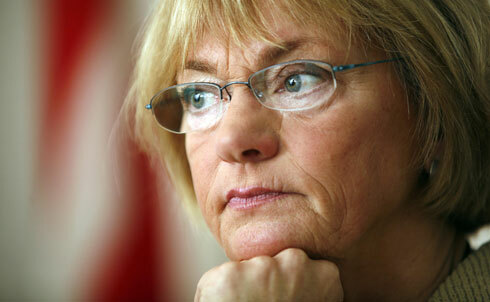 Danish People’s Party head Pia Kjaersgaard in Copenhagen, Denmark. The Swiss People’s Party drew widespread international condemnation in 2009 when it successfully sponsored a bill outlawing the construction of minarets in the country. It also sparked controversy in 2007 with an anti-immigrant campaign poster depicting white sheep kicking a black sheep, presumably out of Switzerland. The SPP is no fringe group, either: it now has more representation in Switzerland’s lower house of parliament than any other party. For more on Europe’s turn to the political far-right, read Ian Buruma’s article in this week’s issue of The Nation. 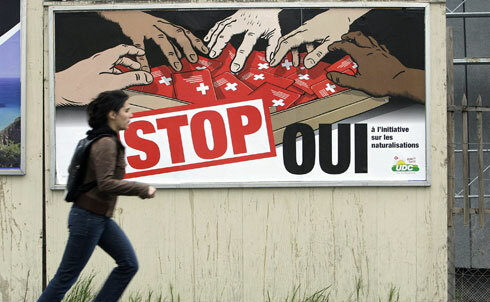 A Swiss People’s Party campaign poster, showing hands taking Swiss passports.